1. 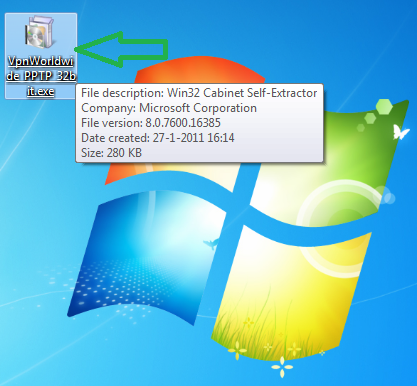 Click the Start button, Search for System and click on System. 2. The System Type will display either 32-bit Operating System or 64-bit Operating System. 1. 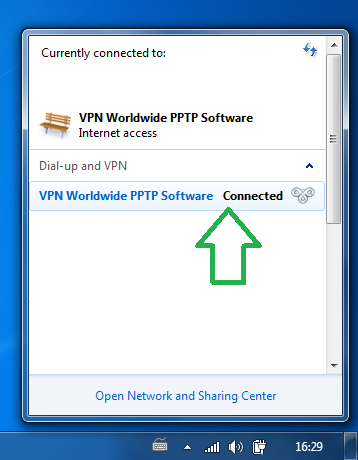 Download the VPN Worldwide PPTP Software for Windows and save it to a folder on your hard drive. Or for example, your desktop. 2. 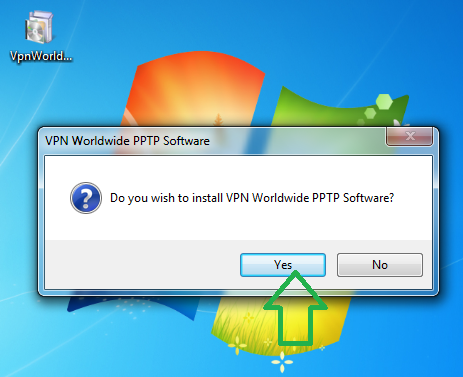 Start the installer by downloading VpnWorldwide_PPTP_32bit.exe or VpnWorldwide_PPTP_64bit.exe and clicking on the Program Icon where you saved it. 4. Check mark the "Add shortcut on the desktop" and click on "OK". 5. Before you log-in you must choose one of our VPN servers to which you want to connect. Please click on "Properties". 6. 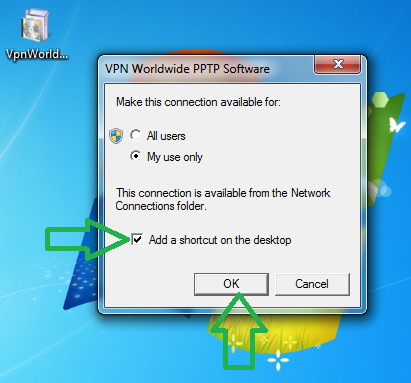 In VPN destination select the VPN server which is most suitable to you. The one closest to your location should provide better quality. 7. 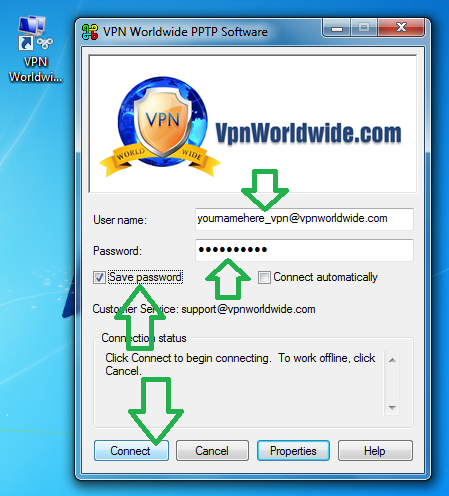 Enter your VPN Worldwide Account details - your username and password and click on "Connect". 8. Wait until the connection is successfully established and Enjoy!